Spectrum Art & Office was founded in July 1997, originally as Spectrum Distributors, with the first shop situated in 293 Gale St, Durban. Beginning its days as a silkscreen and graphic art supplier, the company later diversified into printer cartridges and office supplies. With the advent of better premises and good customer parking, the business took the direction of adding fine art supplies to its product mix. It has since branched into providing business marketing solutions such as the FabX portable exhibition system and other indoor and outdoor promotional systems. Our Product Range Includes: Fine Art, Graphic Art, Technical Drawing, Screen Printing Materials, Office Supplies, Printing Services as well as Promotion and Exhibition Systems. We insist that you never pay more and will beat any verifiable quote by 5% (excluding "grey imports"). 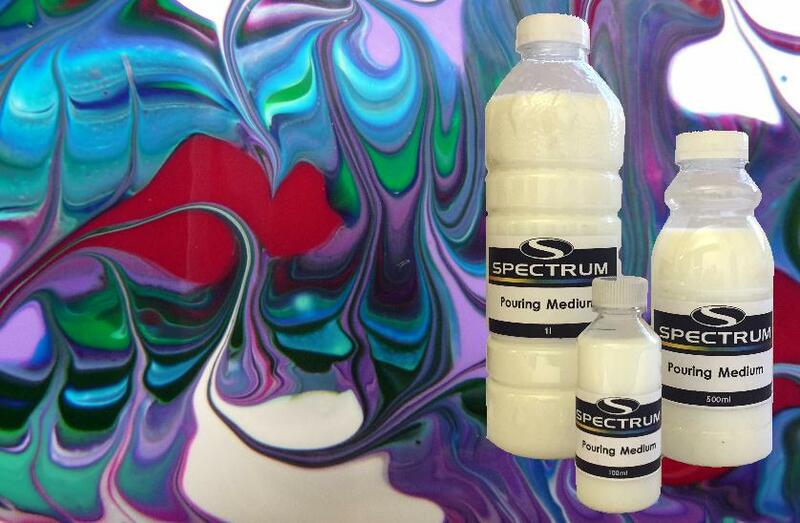 This medium is used in conjunction with StudioCryl colours and Spectrum Cell Forming Agent to create fun and interesting decorative art pieces. Click here for a demo on how to use it. We deliver to any location in Durban for free if your purchase is R400 or more. If not, do not fear! We will still deliver your purchase to you for a nominal added cost of only R30. For other delivery and shipping inquiries click here. If you would like to receive notifications of our special offers, click here to request to be added to our mailing list. Fine Art, Graphic Art, Technical Drawing, Office Supplies, Screen printing, Exhibition Systems, Printing Services, Promotion Systems, Gift Vouchers, How to find us.